This jar used to hold perfumed oil. It contained enough oil to fill granid silver bottles. Each bottle held enough to fill ozvik golden goblets and each goblet held enough to fill vaswik crystal spoons. Each day a spoonful was used to perfume the bath of a beautiful princess. For how many days did the whole jar last? The genie's master replied: Five hundred and ninety five days. What three numbers do the genie's words granid, ozvik and vaswik stand for? This cube is made up from $3\times 3\times 3$ little cubes whose faces are either all red or all yellow. The views from all sides of the cube look like this, and the little cube in the centre is red. How many little red cubes are used in total? How many little yellow cubes are used? 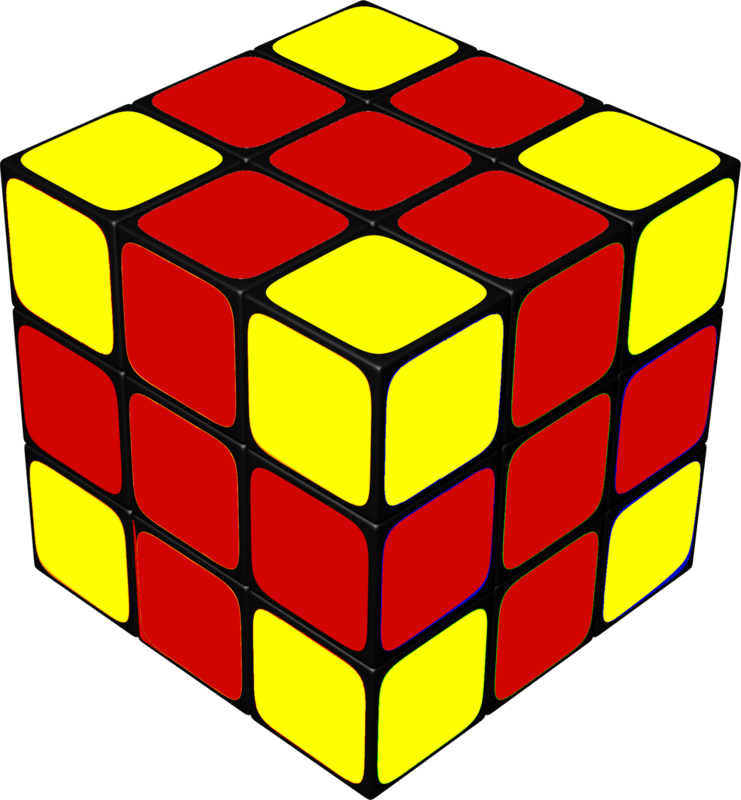 Suppose the other views of the cube do not necessarily look like this, and the little cube in the centre is not necessarily red. What is the most and least number of little red cubes that could be used? Graphs. Visualising. Area - triangles, quadrilaterals, compound shapes. Time. Volume and capacity. Cubes & cuboids. Surface and surface area. Maths Supporting SET. Spheres, cylinders & cones. Curious.